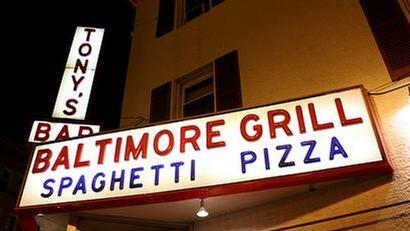 Atlantic City's Best Restaurants « Dine like you mean it. Dine like you mean it. Cafe 2825 is another of Atlantic City’s little gems. It is a small, family run restaurant serving some of the finest Italian food around. It stands on Atlantic Avenue, just in the shadow of the Tropicana, with a beautiful stained wood front with a black awning that has the name on it. It is very unassuming, which is one of its lures. The menu is presented in the traditional Italian dining fashion of separating the pasta dish from the meat, or Primi y Secondi. Cafe 2825’s Northern Italian roots are evident in the amount of fungi in the menu as well as the octopus and tripe dishes. Homemade pasta is a specialty. Complimenting the fine dining cuisine is the family feel of the restaurant. Chances are you will get a visit from the owner, who is friendly and seems to genuinely care about your entire experience. Add in a nice wine list and you have a great meal. Hands down – Best pizza in AC! This place is a dive in the best possible way. It is the restaurant that you look for when you visit a city and want to go “where the locals go.” It has been ingrained in my family for at least 50 years. My parents went there in high school. I have been going for as long as I can remember. And now my daughter associates any pizza with “Tony’s Pizza?” It is like that with families all around the Atlantic City Area, which is what makes it great. The pizza is why everyone goes to Tony’s, but their spaghetti & meatballs, roast beef sandwiches and fried shrimp are all pretty good too. The pizza has a unique taste that I haven’t found anywhere else. It is not gourmet thin crust pizza, although I am a fan of that style too, but it is fantastic in it’s own way. This mysterious “it” restaurant in Atlantic City lives up to all of the hype, none of which is self created. In fact, Chef Vola’s shuns the limelight. Before the internet age, when any piece of information is available at a moments notice, Chef Vola’s didn’t publish their phone number anywhere, and they are proud of it. The restaruant itself is very small inside. Intimate. So intimate in fact that it feels completly natural to strike up a conversation with the parties seated around you. Want to know what the person to the left of you is eating that looks so good? Just ask. At Chef Vola it is completely expected. On one of my visits, I saw two couples who were seated next to each other strike up a conversation during the appetizers and by the time one table was leaving they gave each other hugs and exchanged phone numbers. If you don’t know exactly where it is, you will probably never find it. Chef Vola’s occupies the basement of a non-descript house on a small side street. There is no sign on the house to hint at the spectacular dining taking place just inside the door. Once seated, the friendly staff invites you to make yourself at home and then they promptly recite the specials menu from memory. There are usually somewhere around 15-20 special on any given night. Any thing you order will be fantastic. Just be sure to save room for some of their famous cakes and pies. The desert list is nearly as long as the specials list, and even more decadent. The food is pricy, but is is a BYOB which brings the total for a gourmet meal a bit lower. Bring yourself an outstanding Italian Red such as an Amarone or Brunello to really add an exclamation point to what will surely be one of the most memorable meals of your life. This corner BYOB is a real find. 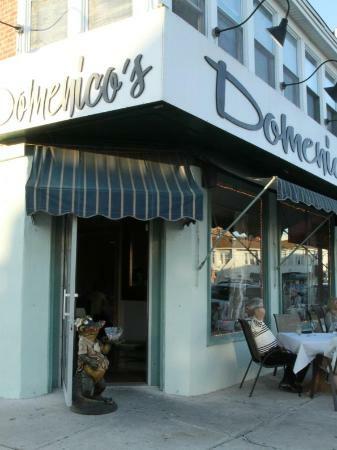 A couple of miles downbeach of AC, Dominico’s is an intimate restaurant with no more than 20 tables. The chef is there nightly and makes his rounds around the restaurant, something that is truly appreciated by the customers. The food is incredible, starting with the long list of specials that changes frequently. Arancini and Osso Bucco are two standout items from the menu, but I have never been disappointed with a meal at Domenico’s. The fact that it is a BYOB only increases the appeal. It means that the food must really stand on its own and it does. It also means you can spend $30 on a really good bottle of wine that would cost $90 at a restaurant with a liquor liscense. A staple in the Atlantic City dining scene since the 30’s, Angelo’s is the “Red Sauce” Italian Restaurant to go to if you want good, traditional Italian American comfort food. Always on the special menu is their famous Lobster Ravioli. Five large cheese and lobster filled ravioli in a pink cream sauce with lump crabmeat and a lobster tail in the middle. It is the best Lobster Ravioli I have found. A good trick with the Lobster Ravioli is to split it with a partner, they add an extra ravioli, evening both plates out to three raviolis and 1/2 a lobster tail. Usually this size serving with and appetizer and their house salad that comes with every meal is the perfect amount of food. It even leaves room for dessert and a sambuca or espresso to finish off the meal. A comprehensive guide to the best restaurants in the Atlantic City area. Fine Dining, Casual Dining and just the holes in the wall that have great food can all be found here.